In 1848, the Mexican War ended, the Gold Rush began, and T. J. Smith built Glen Mary Plantation for his bride Mary Gonder Smith. The agricultural schedule for the census of 1850 shows Glen Mary encompassed 1575 acres, which had grown to 2484 by 1860. Scottish for “Mary’s Valley,” the Greek Revival structure was situated atop a hill overlooking a gentle slope that included the country road meanding through the pines from Sparta, Sandersville, and later Linton with Buffalo Creek in the distance. Theophilus Jackson Smith was Glen Mary’s architect-builder and first resident. He was a successful businessman and a statesman, a Georgia State Representative and Senator and a Hancock County Inferior Court Judge. As an early member of the prestigious Planter’s Club, he would have known and been able to implement the many agricultural innovations and efficiencies that were conceived; a basis for his high success in growing cotton. 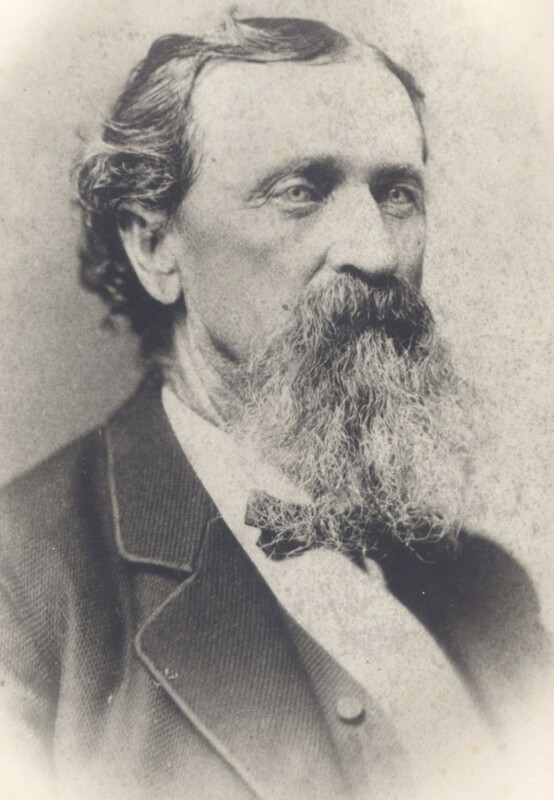 Smith can solidly be placed in the aristocratic “planter class” during the “Golden Age of Cotton”, a class that exemplified the antebellum upper strata of Southern society. His design and building of Glen Mary were not merely to provide a comfortable shelter —this was a palace of culture and refinement that projected and published to the world a statement of his conservative views of religion, politics, education and gentility. In Glen Mary we readily see his announcement of his personal stature. From this pinnacle in the social order, exemplified by his shining temple sited on a paramount rise, his influence radiated outward through all other strata of the community. The formal gardens associated with the “Big House” were just another way of reinforcing Smith’s place in society. In the isolated plantation environment hospitality was ritual. As carriages topped the rise on the plantation road Glen Mary emerged elegant and in perfect symmetry. Upon opening the garden gate, the center path led to the main entrance of the house through the fragrant formal gardens with their colorful flower beds bordered with boxwood. Guests were received on the first floor, immediately ascending the facing staircase to the double parlor, dining room and verandah on the second floor. Noted guests at Glen Mary included Hancock County Judge Linton Stephens and his half-brother Alexander H. Stephens, future vice president of the Confederacy, and Robert Toombs of Washington County, another founding father of the Confederacy and her first secretary of state. Smith’s business concerns outside Glen Mary were many. The Sparta Plank and Turnpike Company was incorporated in 1850, to build a road to Warrenton in Warren County and Sandersville in Washington County. Smith’s partners were William Terrell, James Thomas, A. J. Lane, R. M. Thomas, D. W. Lewis, and Joseph B. Gonder. In 1852, the Hancock Manufacturing Company became another venture in which Smith partnered with William Terrell, Benjamin Harris, Thomas M. Hunt, William D. Winn, and James Thomas. In 1850, 34 slaves lived at Glen Mary. The farm, implements, and machinery were $7365 in 1850, with Smith’s personal holdings valued at $1200. 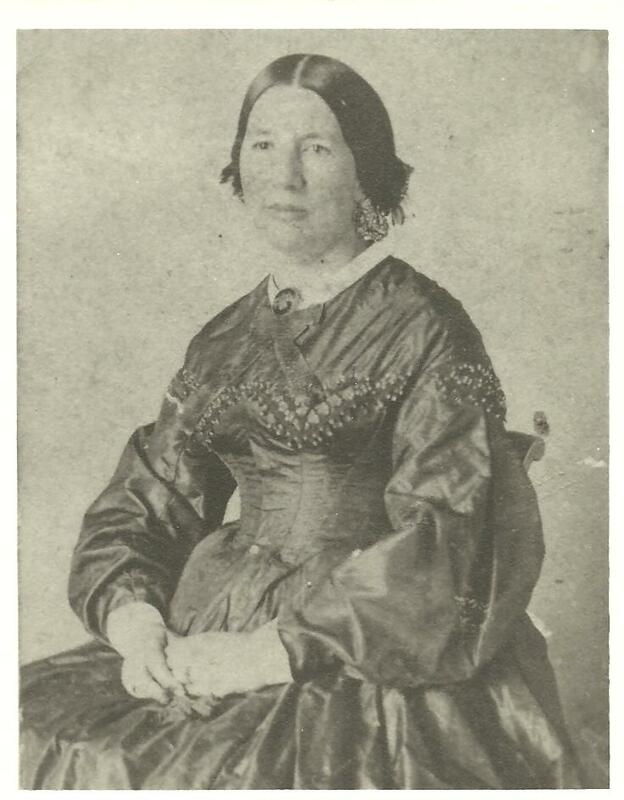 It is probable that the number of slaves had grown to 76 by 1860 and in that same year Smith gifted his daughter, Ella, on the occasion of her marriage 25 slaves, leaving Smith 51. In 1860, Glen Mary, her implements, and machinery were worth $18,500. The land itself was worth $25,000, while Smith’s non-land holdings were valued at $60,700. Colonel Smith was in the first regiment in Hancock County to go to Civil War battle. During the war the farming operations at Glen Mary were curtailed. Forced sales of large portions of the vast plantation lands were obliged. When Colonel Smith returned from war, he found his beloved Glen Mary still standing, having narrowly escaped the core troops of Sherman’s march, but the landscape was barren, the fields burnt and trampled, the roads lined with carcasses of livestock. The slaves and the agricultural hands had gone. With his combat injuries, his health was destroyed. His military fortunes had failed. His finances were in ruin. Colonel Smith’s formerly prestigious and affluent life had disintegrated and his stature diminished, leaving him impoverished and discouraged. Finally, the fatal collapse comes in 1869 when he was obliged to relinquish this pride of his life and sell Glen Mary. Smith sold Glen Mary to General Ethan Allen Hitchcock advisor to Lincoln, a fact that reflects the harsh reality of the outcome of the War. 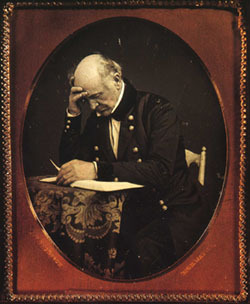 General Hitchcock at the end of the War suffered from very poor health and only lived a short time at Glen Mary. After the General’s death in 1870, Mrs. Hitchcock resided in the mansion and oversaw the successful operation of the plantation for nearly four decades. Mrs. Hitchcock’s plantation ledger and personal records, which help tell the female experience on the plantation after the war, are preserved in Preservation America’s archives. The analogy of these first two owners of Glen Mary to the destinies of the North and South is consummate. This history demonstrates how representative Glen Mary is of the complex and economic dynamics of the time. It is emblematic of the individual fates of its builder, its owners and inhabitants, the regional community and, indeed, the South as a whole. General and Mrs. Hitchcock had no children and after her death possession of Glen Mary continued in Mrs. Hitchcock’s natal family, the Nicholls. The Hitchcock household had included Mrs. Hitchcock’s brother, Colonel James William Nicholls, another Union officer. Colonel Nicholls established the Nicholls family in Hancock County, where they occupied Glen Mary for more than one hundred years. He and his wife are buried at Glen Mary. Their son William P. Nicholls was only five years old when the Civil War broke out. Glen Mary became his home, and he was the last of the Nicholls family to be buried at Glen Mary in 1942. Miss Elizabeth Nicholls and Mrs. Anita Nicholls, two daughters of William Nicholls, occupied and restored Glen Mary in the 1960’s. In 1984 the house was purchased from the Nicholls family by Wayne and Catherine Hill. Preservation America purchased Glen Mary from the Hills in November 1998.